How many selfies do you think you take a day? I read about a young lady that said that she had taken over 100 selfies one night just because she was bored. That’s a lot of selfies! Selfies are a fun way to show all your friends the great hair day you’re having or the awesome place you’re visiting on social media. When we take a selfie and post it, we let the world know what we’re up to. Whether we’ve just tried the new coffee shop on the corner, or decided to dye our hair red, the selfie shows who we are and what we are doing to the online world. Selfies are a lot like the Bible should be in our lives. The Bible should be showing us who we are and what we are to be doing. The Bible shows us who we really are. If we need a self-esteem boost, the Bible shows us our great worth to God. (1 Cor 6:20) If we are afraid, the Bible shows us that we are bold. (Proverbs 28:1) If we feel we can’t make it, the Bible shows us we can. 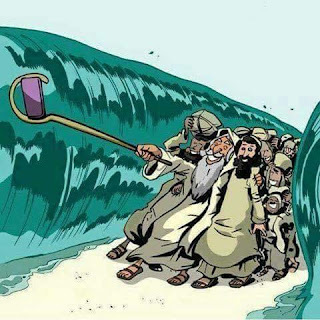 (Phil 4:13) Just like a selfie, the Bible shows us who we are. We might not feel like we’re worth much, are bold, or that we can make it, but our feelings don’t matter. What matters is what is true, and the truth is found in God’s word. God’s word shows us who we are. God’s word also shows us what we are doing. Reading the Bible can open your eyes to habits that you need to get rid of, or things in your life that need to change. We should be constantly striving to be more like God. So when we see a habit or attitude in our life that doesn’t line up with the Bible, we need to change that habit or attitude. So the next time you snap a selfie or pick up your Bible let it be a reminder of how important the word of God is. God’s word is powerful and can change our thoughts and actions if we let it. Challenge yourself today to go deeper into God’s word and let His words transform you. Dear Lord, Help us to always remember how important Your Word is. Help us to take the time each day to read it and see what You have to show us. In the Name of Jesus, Amen.